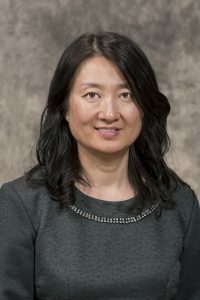 Associate Professor of Nursing Jie Chen has been named a Nurse Educator Fellow by the Illinois Board of Higher Education. She becomes one of 19 distinguished educators selected from across the state. She joins a select group of only 149 Nurse Educator Fellows over the past 10 years who have been honored for their commitment to quality and innovative teaching.